While this year's Apple Watch upgrade is expected to feature largely the same OLED display as its predecessor, the wearable smartwatch could see a major overhaul next year, with Apple said to be investigating micro LED technology for a future model. Citing its usual Taiwan-based supply chain sources, DigiTimes reported on Friday that Apple could replace OLED displays in the Apple Watch with micro-LED panels as early as the second half of 2017. It also added that Apple apparently set up a laboratory for micro-LED research and development in northern Taiwan in April of 2015. With sizes from just one micron to 100 microns, production of micro-LED panels is currently more expensive than OLED panels, which themselves are more costly than the LCD displays Apple uses in most of its products, including the iPhone, iPad and MacBook lineups. Friday's report was scant on details beyond that, but it is based in some truth: Apple acquired micro-LED display maker LuxVue in May of 2014. Currently, Apple relies on third-party vendors for screens in its devices, including major rivals like Samsung. The acquisition of LuxVue was seen as a potential sign that Apple could bring development of new display technology in-house, rather than relying on outside suppliers. But Apple's purchase of LuxVue and its power-sipping display technology would have perhaps the greatest benefit in the Apple Watch, where energy efficiency is crucial. And so the pursuit of micro-LED specifically for use in a next-generation wearable would make some logical sense. Display experts familiar with micro-LED technology said in 2015 that they believe the technology is a suitable successor for OLED, and they viewed the Apple Watch as a good candidate to utilize micro-LED displays. 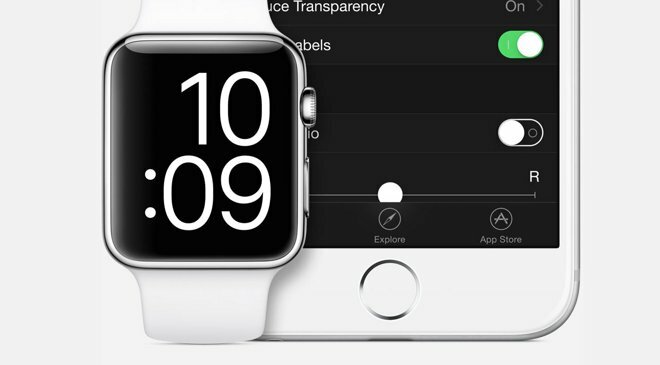 Apple currently uses OLED technology for the Apple Watch display, which helps to extend the device's battery life. It is Apple's first device with an OLED display. Micro-LED technology is not currently in any shipping consumer products, and it's currently difficult to build display panels of any meaningful size, so it's possible that rumors of a 2017 launch could be too ambitious. But if Apple does manage to find a breakthrough with micro-LED, it could become the first company to introduce micro-LED to the masses.